Great condition. 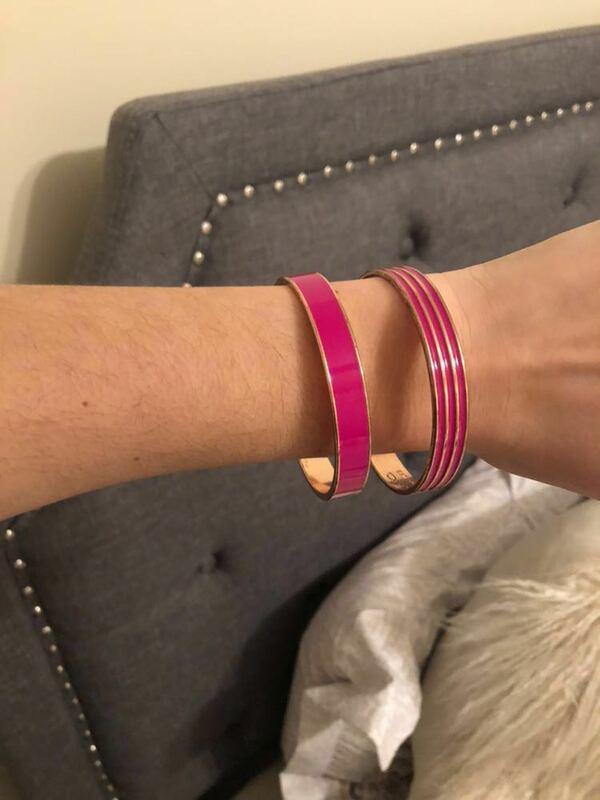 Beautiful Oscar De La Renta bangles. Look great with a neutral dress for a pop of color.